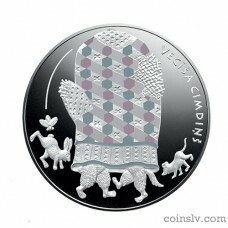 Latvia 5 euro 2017 "Fairy Tale Coin III. 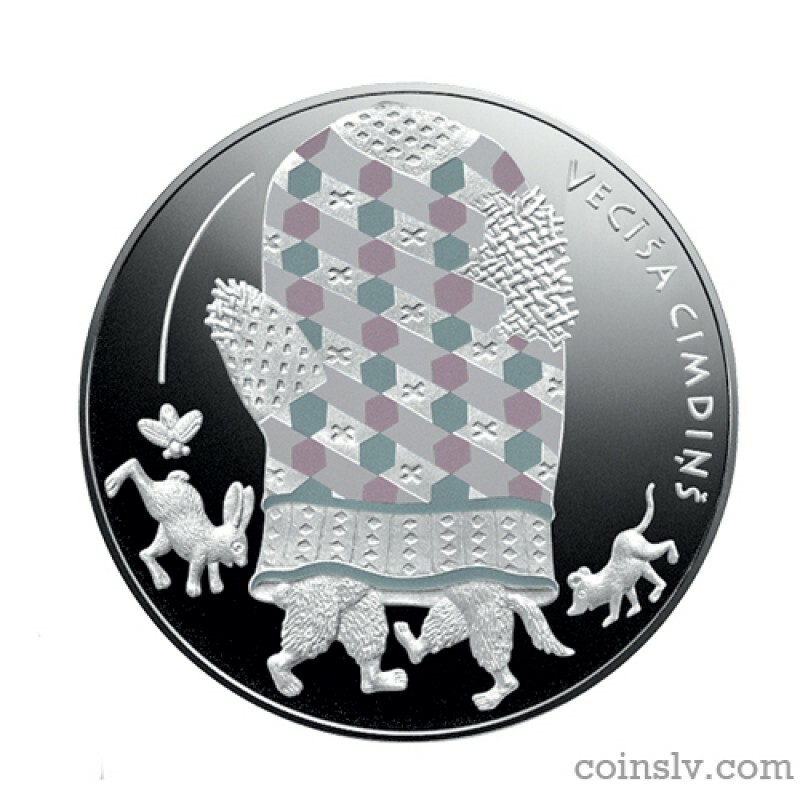 The Old Man's Mitten"
Obverse: A patterned mitten, with the lower body parts of a bear and a wolf protruding from it, is placed in the centre of the obverse. On the left, a fly and a hare are featured, while the image of a mouse is shown on the right side. The inscription VECĪŠA CIMDIŅŠ is semi-circled to the right from the mitten. 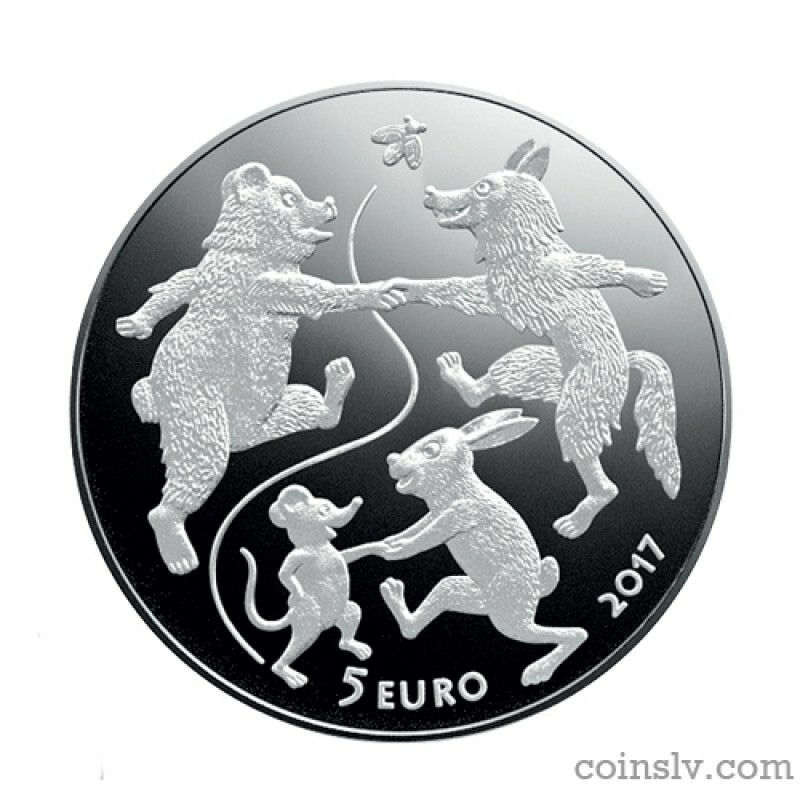 Reverse: The reverse shows animals – a bear, a wolf, a mouse and a hare – holding their paws and happily dancing, while a fly is fluttering in between them. The bottom part features the inscriptions 5 EURO and the year 2017. Edge: The inscriptions "LATVIJAS BANKA" and "LATVIJAS REPUBLIKA" are separated by rhombic dots.